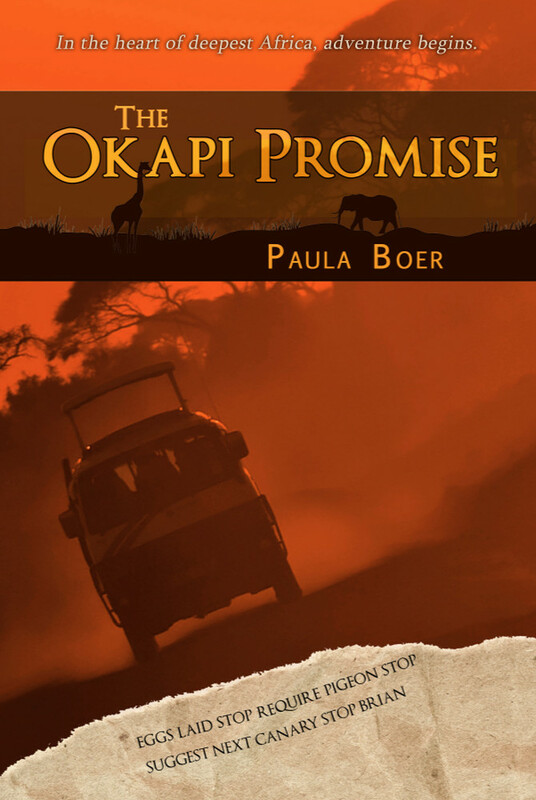 As part of our internal improvement program, IFWG Publishing has rereleased one of its early non-speculative fiction titles: The Okapi Promise by Paula Boer. The prime change was reissuing its cover – Elizabeth Lang, of EL Design, has done a great job depicting the African safari that is central to the novel’s plot. The Okapi Promise will be out in its new form in a few days, and can be purchased from all good online book stores, print and ebook formats. It can also be purchased now through IFWG’s bookstores: PRINT and EBOOK. 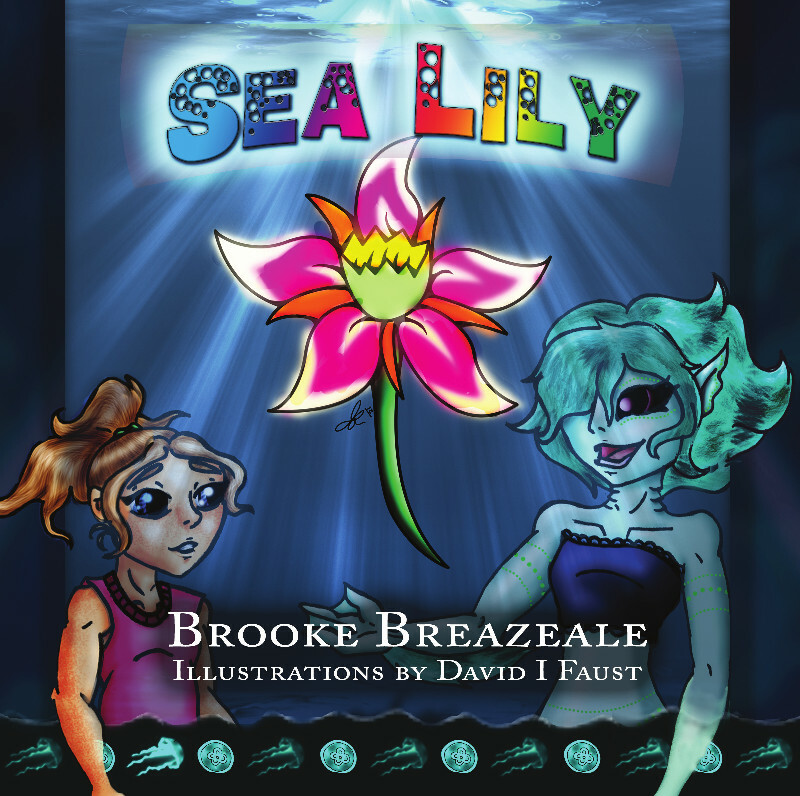 We are pleased to announce the release of Sea Lily, a delightful children’s book, written by Brooke Breazeale and wonderfully illustrated by David I Faust. It is in full colour. Ella Elizabeth is a spirited nine year old. One rainy afternoon, her world is turned around. She is pulled into a world below the surface of the sea and sees amazing things that she only had previously read about. Ella Elizabeth meets Tearuslee, a mermaid servant. Together, they set off to find a rare flower called the Sea Lily to help rescue Tearuslee’s people. They team up with two fabulous sea creatures and set off to find the mysterious flower. Although there are many trials, will Ella Elizabeth and her friends find the flower in time? The title should be available in all good online stores in the next few days, and can NOW be purchased direct (including wholesale by retailers) from IFWG Publishing. 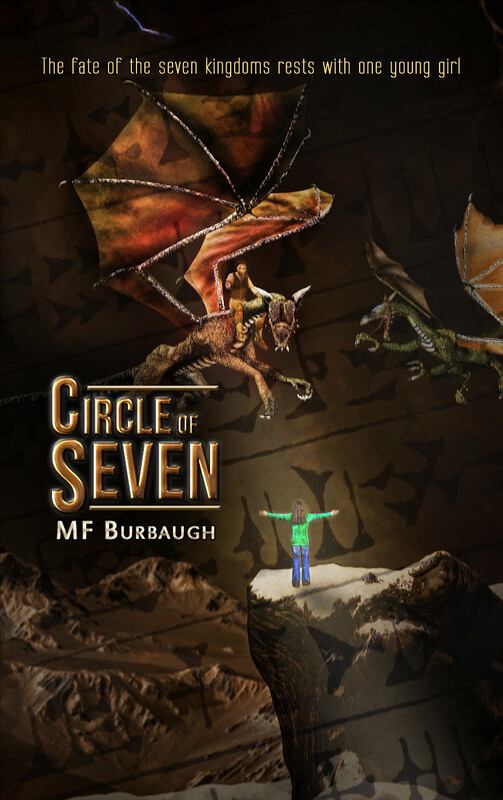 As part of our internal improvement program, IFWG Publishing has rereleased one of its early fantasy fiction titles: Circle of Seven by MF Burbaugh. The key change was improving its cover – Elizabeth Lang, of EL Design, has done a great job capturing one of the exciting scenes of the novel, and portraying the youth and power of the very young female protagonist. Circle of Seven is a delightful story, and don’t be fooled thinking this is a novel for children or young adults. It isn’t, although young adults would no doubt enjoy it. The protagonist is a child but she is caught up in some of the horrors of life, and the politics and war on a fantastical planet. It starts as a science fiction, but it quickly, inexorably transforms into a heroic fantasy. This is a unique tale, and worth reading. After being kidnapped by pirates, a young earth girl, Myra, finds herself on a strange planet full of magic, hate, and ancient prophesies. Befriended by a Dwarf Princess, she struggles to understand her environment or die. War looms on the horizon as Elves, Dwarfs, Dragons, and others face the reality of an ancient judgment to come. This is the story of pirates, death, war, magic, and ancient prophesies. Myra may hold the key to their planet’s destiny in her tiny hands as she struggles to fulfill the ancient writings and stay alive. Circle of Seven will be out in its new form in a few days, and can be purchased from all good online book stores, print and ebook formats. It can also be purchased now through IFWG’s bookstores: PRINT and EBOOK. As part of our internal improvement program, IFWG Publishing has rereleased one of its favorite non-speculative fiction titles: Blood Contract by Biola Olatunde. One key change was improving its cover – we believe Elizabeth Lang, of EL Design, has done a great job capturing the spirit and intent of the novel. Biola Olatunde’s novels, whether they are speculative or not, hit at the heart of Nigeria’s culture, challenges, and virtues. She has the rare ability to combine social commentary with entertaining adventure. She proudly writes in Nigerian English, and IFWG Publishing has worked hard to balance this idiom with Western readability. A magical combination; a unique voice. Blood Contract is about Ken (Kenawari), who left his village in the Niger Delta region many years ago, carrying with him emotional scars. However, he did make a life for himself in the city and built a reputation as a slick troubleshooter in inter-village disputes, of which there were many. He was one of the best operators on the books of the private security firm he worked for. 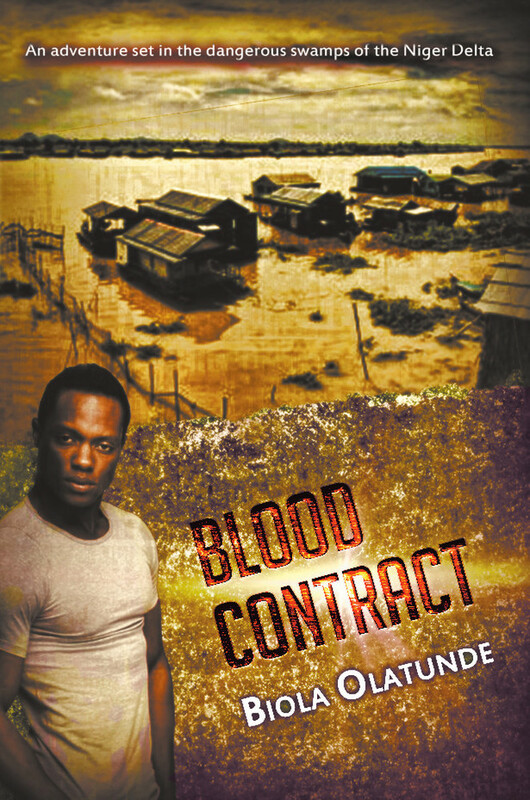 Blood Contract is not just an adventure set in the dangerous swamps of the Niger Delta, it is also the story of a man who is imperfect and must finally find some reconciliation with his past. Blood Contract can be purchased from all good online book stores, print and ebook formats. It can also be purchased through IFWG’s bookstores: PRINT and EBOOK. Just a reminder to those who may have missed it. The following titles are on offer at a great price. Just click on the tile name or graphic, and it will take you to our shop. The prices are shipping inclusive, and require Pay Pal for payment. If you don’t fit in the target geography, or want combination/multiple orders, just click on the link provided and it will take you to a form (at the bottom of our print catalog) to customise your requirements. We will get back rapidly with a quote – the bigger the order, the better the deal! A wonderful middle-grade to nineties fantasy adventure. A powerfully written contemporary fantasy set in Ireland, exploring the power of love and companionship. An adventure set in the Niger Delta, about a man who must overcome the complex obstacles of a lawless society, and at the same time tame his own demons. A children’s illustrated story about a boy journeying on an intergalactic train, whose purpose is to visit the night sky’s constellations. A science fiction set in the late 1950s – humorous, tragic, solemn; it has it all, including an alien invasion. Contemporary African fantasy exploring the parallel worlds of the spirit and terrestrial life in a village in Nigeria. Very powerful story about superstition, ignorance, and power of goodness. Urban fantasy set in East Coast USA, but with strange, intricate connections to medieval Japan. Esme Carpenter wrote Against The Elements as a young teenager, and years later took a chance with IFWG Publishing. It wasn’t a gamble; it is an inspiring young teen (middle grade) fantasy adventure. Something worthwhile reading during your holiday break. Go to the Against The Elements store. One of our publications we are most proud of is Constellation Station, by Gary Alexander Azerier, and illustrated by Ioanny Dimov. This is a wonderfully and richly illustrated children’s book that introduces young children to the beauty and majesty of astronomy, by way of a fictitious train that can travel the constellations. We believe that young children would love to flick through these pages while on their holiday break. Go to the Constellation Station store. An urban fantasy by Larry Ivkovich, The Sixth Precept is an adventure that interconnects feudal Japan with contemporary Pittsburgh. An exciting fantasy adventure with deep roots in Japanese culture and mythology. Blackthornes Of The Forgotten, by Bree T. Donovan, is a powerful fantasy story of love in its purest form, set in an Ireland that delicately superimposes modernity with the traditions of the paranormal past. Go to the Blackthorns of the Forgotten store. Die Laughing is another holiday reading discounted offer by IFWG Publishing. Louis K Lowy‘s humorous, and yet poignant, science fiction is set in the 1950s, with gangsters, Las Vegas comedians, femme fatales, and the inevitable alien invaders. Saying much more will only spoil the read…go on, purchase it!